There was a very special guest indeed at the last FC Barcelonatraining session before flying out to Glasgow for the Champions League game with Celtic. And it was none other than Canadian pop superstar Justin Bieber, who is performing at the Palau Sant Jordi on Tuesday night in one of the final shows of the European leg of his Purpose World Tour. 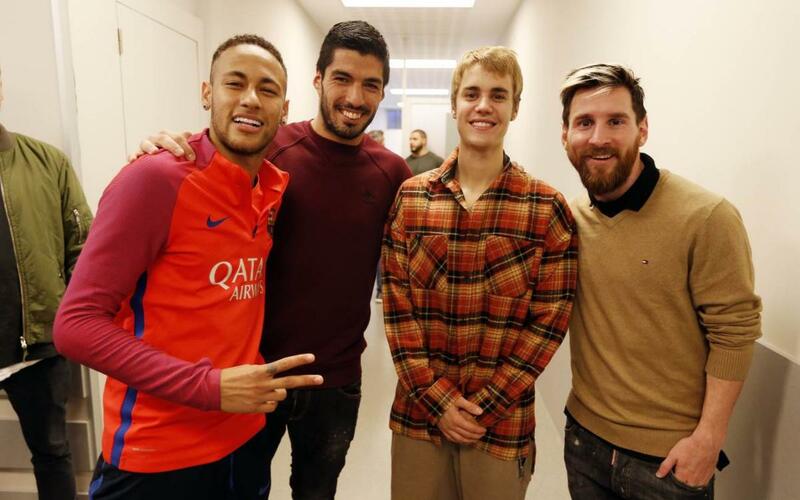 The 22-year-old, whose What Do you Mean?, Sorry and Love Yourself were all global chart-toppers last year, not only got to watch the Barça players train but even got to join in with a kickaround with the likes of Neymar Jr and Rafinha. And it turns out that Bieber has a pretty fine shot on him, and he also got the chance to try out his goalkeeping skills. It’s not his first experience of a Barça training session. He also popped by the club in 2011, when he got to chat, among others, to Messi and Iniesta. Wearing the green second strip that was used at the time, he also got to test his ball skills against the best in the world, as you can see in this video.